At Campsite Du Lac in Ondres (Landes) camping costs as little as €20,- per night during low season with CampingCard ACSI. At one of the 56 touring pitches you will get a discounted rate during the period 15-03-2019 - 05-07-2019 and 02-09-2019 - 30-10-2019. At this campsite you can not only use your CampingCard ACSI for inexpensive camping, you can also use your ACSI Club ID (as an alternative ID). The touring pitches are between the swimming pool and a lovely little lake. The seasonal pitches are on another part of the campsite. Stayed only one night here. Not because it wasn\'t any good but because of the weather!!! Rained a lot. Right near to the lake. Would recommend this site. A good site with picturesque views over a fishing lake. The grass pitches were level but the recent rains led to some motorhomes having problems. Not all the facilities were open due to the early date but the children\'s play area was well stocked with equipment. A walk into the town of Ondres takes about 10 minutes and the Reception now have a timetable for buses into Bayonne. The lady is reception was friendly and helpful, speaking excellent English. Beautiful place, great camping. Nice heated swimming pool. Everything working in low season except the animation. Toilets a bit far from most of the pitches. Stayed there for a week in October on the way South for winter. Our American Motor Home of 11 meters in length was accommodated quite easily but there were no Dumping and Water supply connections available on site and only having one electricity connection of 10 amps was somewhat problematic until we connected a second line to an unoccupied neighbouring plot. The Camp staff lady "Carmen" was most obliging and helpful. The campsite grounds were well tended and the grass mowed. The areas around this Campsite were beautiful and well worth our visit. We shall definitely consider staying there again. what a beautiful place - we were nearly tempted to stay at the beach aire nearby and we are so glad we didn't pay to stay there - we have seen a kingfisher, birds and butterflies on this tranquil grassy site. Lovely swimming pool and so peaceful - don't want to ever leave ! can cycle into town or to the beach from here if you can bear to go ! We were very pleasantly surprised by this site. The staff were very friendly and helpful. As we were in the low season the site was quiet (only a few campers). The sanitary facilities are a little dated but kept clean. During our holiday in France we visited around 15 sites and this rated as one of the best visited. The area is very good for walking. The site owners and staff were very friendly and helpful and spoke many languages, Although it was very late in the season the facilities and grounds were kept to a high standard. We will definitely return to this site . Not a good experience. We stayed first week of March 2012. Only 2 showers and 4 toilets to be shared amongst 20 campers. Charged over CCA price and neither receipt given nor reason for additional charge. Very difficult to access the site which has a lot of building work going on. If you have a heavy motorhome (over 3500kg) - which are more and more common now - note that this campsite wants to charge €5.5 per night extra! However, the reception staff must be commended for their excellent communication - probably the best I've come across anywhere. 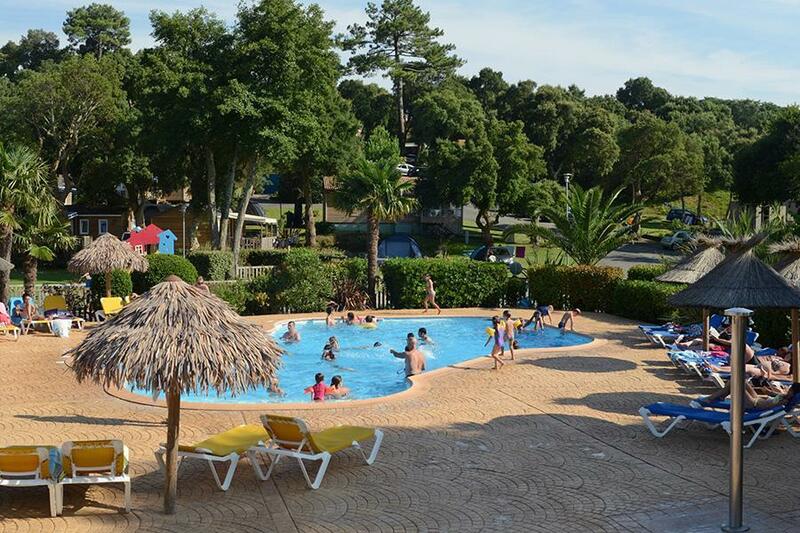 Would you like to book Campsite Du Lac or request more information? You can do both using the information below. A63 Bordeaux-Bayonne exit 7 and then take the D810 to ± 1 km before the centre of Ondres. There turn left onto the road to Ondres-Plage. At the first roundabout go all the way around and follow the signs. CampingCard ACSI will send your information request to "Campsite Du Lac".